//	Lenovo Tab3 8 Plus Specs and Design Leaked; Another Device for MWC 2017? Lenovo Tab3 8 Plus Specs and Design Leaked; Another Device for MWC 2017? 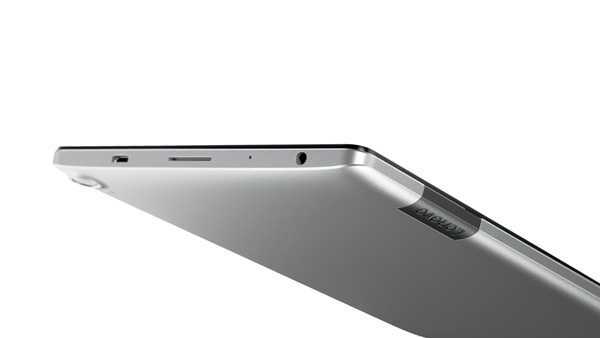 The press renders of the Lenovo Tab3 8 Plus leaked online that led to its rumored specifications and how the device might actually look. With the Mobile World Congress 2017 around the corner, there is no shortage of leaked pictures of smartphones and tablets. Many of them are scheduled to be launched at this event including the Lenovo Tab3 8 Plus that has some impressive specifications and a great design. Based on the specs available, it is speculated that the tablet will have a compact 8-inch display with a resolution of 1920×1200 pixels. The resolution is exactly the same as the last Nexus 7 tablet. However, Google’s device used it on a 7-inch display and it is to be seen how it works on a much larger screen. A moderately powerful Qualcomm Snapdragon 625 at 2.0 GHz will power up the tablet with 3GB of RAM and 16GB of storage space. The base storage space is very low but it does support microSD card expansion upto 128GB providing users an option to store as much content as they would need. However, it might be bit difficult when installing many apps on the tablet. They could be moved to the SD card to save space and keep the device running zippy. 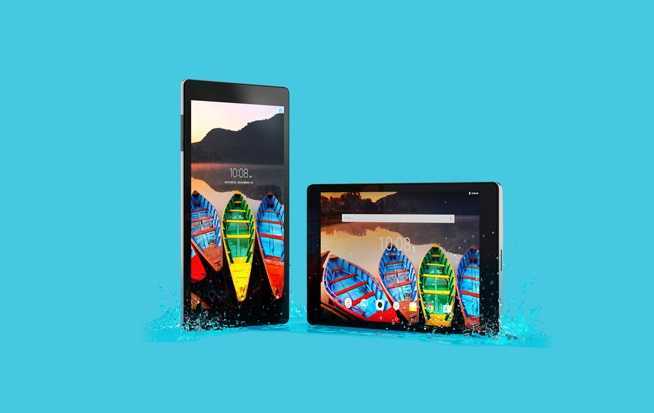 The Lenovo Tab3 8 Plus will sport a 8 megapixel rear camera and a 5 megapixel front camera. It runs on Android 6.0.1. Marshmallow but a Nougat 7.0 update is imminent as no buyer would consider a device that doesn’t run on the latest operating system in 2017. The tablet is equipped with Dolby Atmos speakers along with IP52 dust and water proofing making it a robust device to be used in the open, without having to think twice about the scenario. Many of the specifications were leaked by the Geekbench testing report. As they fall in line with the rumored specifications from last year, it could be pretty much the same on launch. 2017 Mobile World Congress pretty much seems to be the best option to launch the tablet and it will be priced more than 150 euros in Europe as revealed by a website leak. Lenovo is aiming for the budget end of the market and the hardware choices support the claim as they are not flagship but designed to get the job done. Just like the earlier models, the Lenovo Tab3 8 Plus will be available as Wifi and LTE model. The device will offer two different color choices to pick from, a silver and a blue variant.